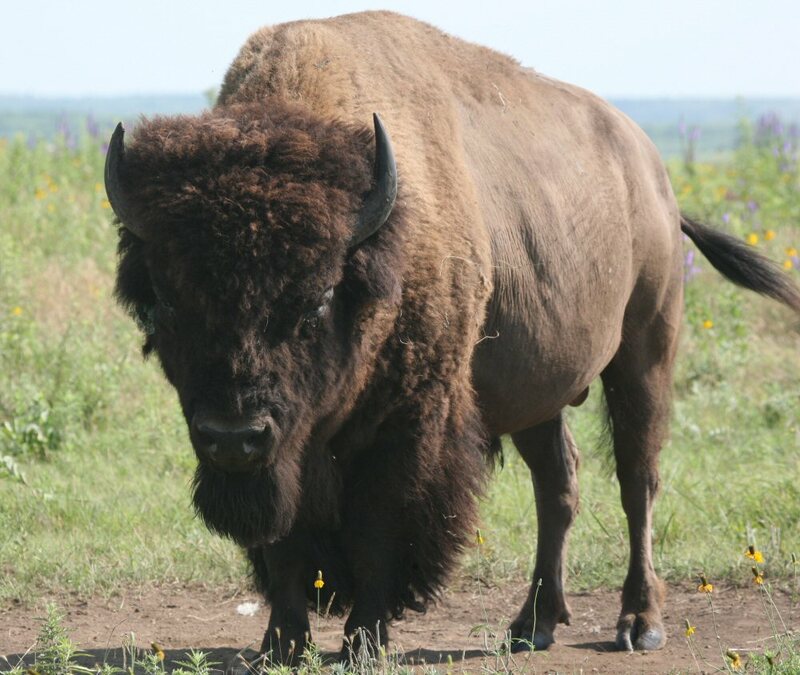 This animal as you can see is called a American Bison. 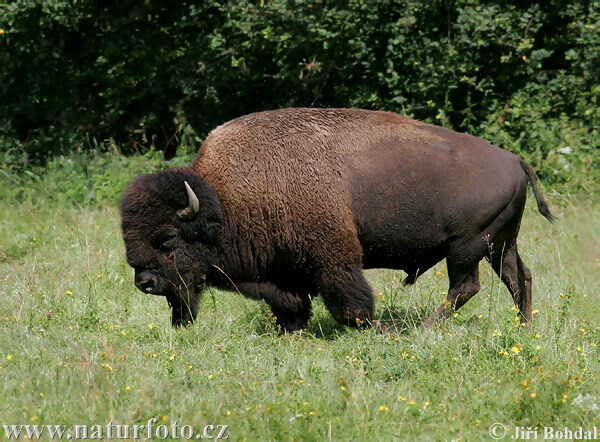 Bison are also sometimes called American buffalo. 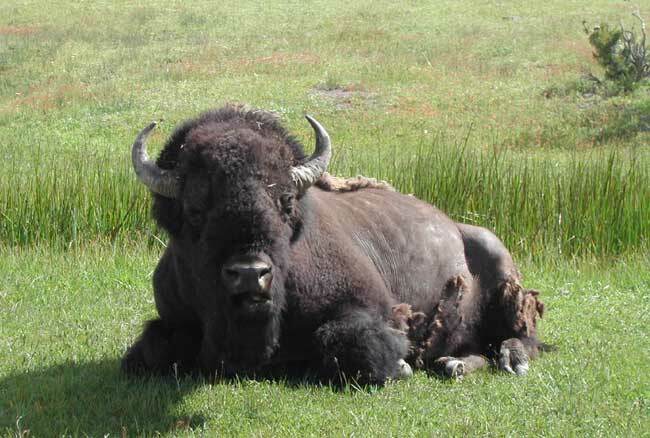 These big animals roam in large groups, spending the better part of their day relaxing and chewing the grass that they eat. The females, or cows, form herds with their calves under the leadership of a top female. The males, or bulls, live in separate herds and occasionally come to the cows only in the mating season. Rival males competing for females fight one another in fierce head-to- head bangs. Thank you for reading Archie’s info! !